Thank you so much for Reserving your Thanksgiving Turkey from Simply Fresh market! 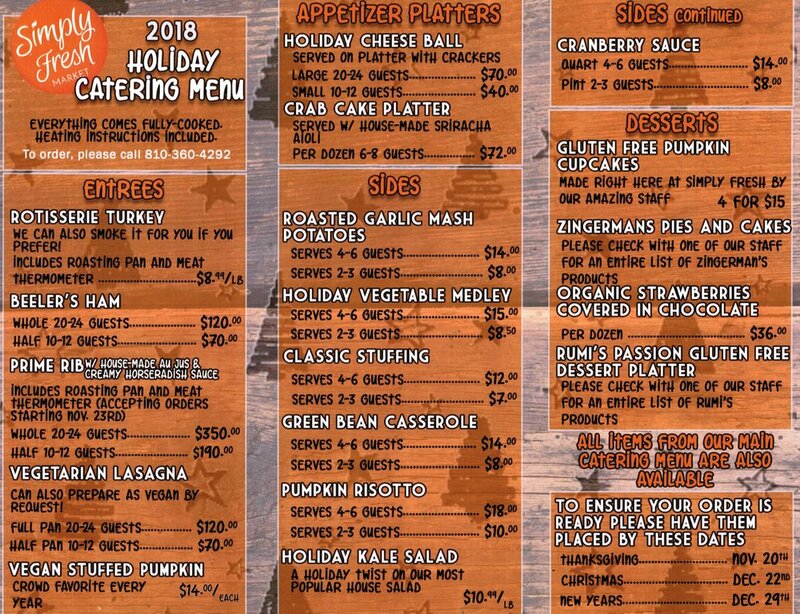 To show our appreciation we’d like to offer you 10% off any selections you make from our Holiday Catering Menu! To Place a Catering Order and claim your 10% off, please list your selections from the menu in the “selections” section of the form below. Be sure to indicate which serving size you want for each of your selections. All Orders are to be picked up with Turkey on either November 20th or 21st. *An Associate From Simply Fresh Market will contact you to collect payment and confirm your catering order.